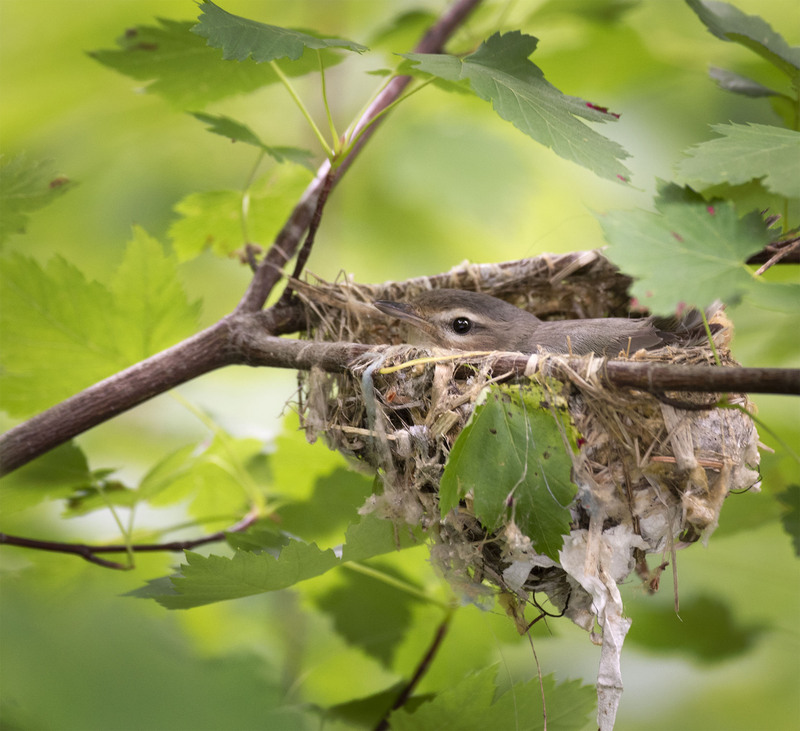 One of our favorite forest singers the Warbling Vireo enjoying a bit of quiet time while on the nest. By now the eggs have hatched and young have left the nest. The next generation is on its way. Spectacular photo, Mike — thanks for this quiet moment with the warbling vireo. Thanks Jet and hope you week is off to a great start. Such a sweet look despite her serious business. Nice shot! She must have been quite tolerant of people as this nest was right in front of a parking spot at a local trailhead. Thanks Camie, we were quite surprised to see her on this nest as it was in a tree right in front of a parking spot which we pulled into at a local trailhead.